When you head out on your next run, you'll perform better, look cooler and be safer with our running accessories. As the passionate runners on our staff can attest, it's easier to for a run to be fun and productive when you have the right gear for the situation. We have accessories for marathon runners, sprinters, casual joggers and everyone in between who needs a little something extra for their outings. You'll find functional performance accessories as well as safety gear for those who run alone or in low-light conditions. 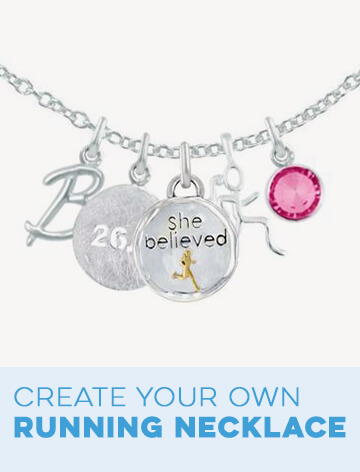 Shop for yourself or give a practical gift to a runner that keeps them in full stride year-round. Whatever the obstacle to a successful run – long hair, cold temperatures, lack of pockets – we have a solution in our running accessories store that's right for you. Headbands and running hats are popular ways to keep perspiration, sun or hair out of your eyes. Gone For a Run has no-slip performance headbands that can be adjusted to your head and multi-functional running headbands that can also be worn as wristbands, scarves, scrunchies or other accessories based on your needs. Our hats for runners include classic trucker hats as well as zippered pocket hats that can hold everything from car keys to a mid-run snack. Want to keep running when fall or winter arrives? 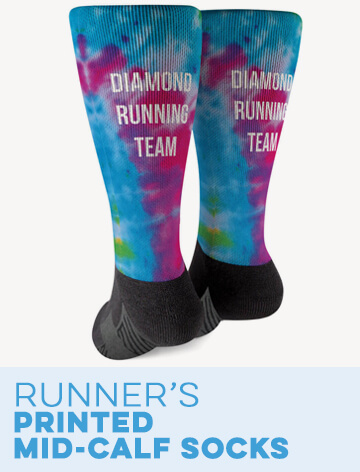 Of course you do, and we have cold weather gear for running that includes knit winter hats, printed arm sleeves and runner's gloves to stay warm, all of which come in our trademark vibrant patterns. And you'll be a lot more likely to make it home in one piece when you're wearing a runner's ID bracelet with vital information and/or LED safety lights for dawn and dusk runs. 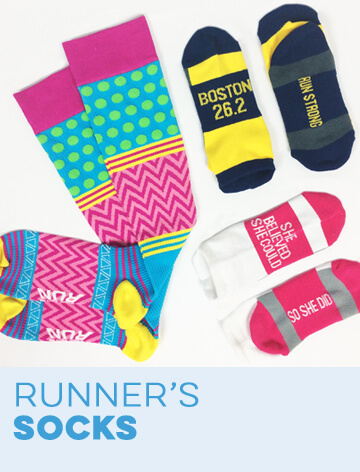 We have been the place since 2010 to find runner's accessories that are fun to wear and help you do more running with less fretting. Run as hard and as long as you desire with our expert assistance! Runners can’t get enough of our fun and functional running accessories that range from pocket hats for runners to carry essentials - hands-free, as well as lightweight and stylish trucker hats with original running designs. We have multiple styles of running headbands designed to perform, including adjustable and elastic bands that are thinner and versatile, multi-functional headbands that can be worn folded as thick or thin as any runner likes. Our safety lights and runner’s identification are essentials for runners who run alone - especially early in the morning or in the evening. 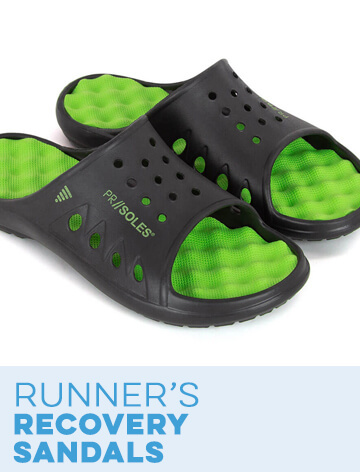 All of these running accessories are great gifts for runners that cover a lot of ground (just like most runners do) and include casual wear gifts and running safety gear that is sure to get a lot of use. Runners love our convenient pocket hats with zippered side pockets to hold important things like money, a license, keys, and other small, but important items for a hands-free way to carry them. 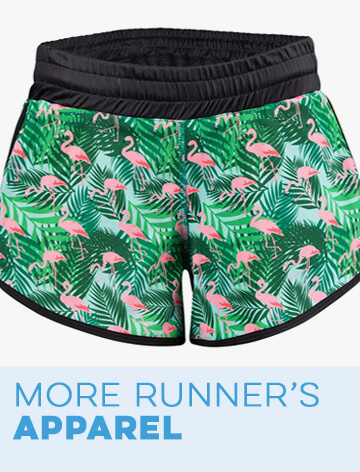 This is the ideal solution for runners who are always lamenting a lack of pockets in their running gear and will be a favorite for daily runs as well as marathons and other races. Our running trucker hats are lightweight and stylish, where the back of the hat is made from breathable mesh and has an adjustable snap closure. The stylish hat is perfect for those warm spring and summer days, and to wear when relaxing with friends or supporting a friend participating in a race. We have other fun and practical running hats that make excellent gifts for runners and will be a favorite whether it’s when heading out on a run or for everyday wear. We have a huge selection of running headbands, all of which are designed for optimal performance - and are designed for different hair types and runner’s needs. 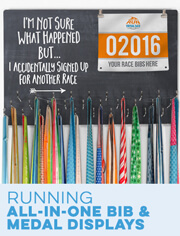 We have no-slip, and elastics style, thinner headbands that keep hair in place - and out of a runner’s face - while running, as well as thicker performance headbands that are custom printed with running designs and mantras for a stand-out headband that also pulls hair back and absorbs moisture to keep it from dripping down a runner’s face or into her eyes. Our original RokBAND headbands are a custom printed, incredibly versatile headband that runners love to have with them whenever they’re running. 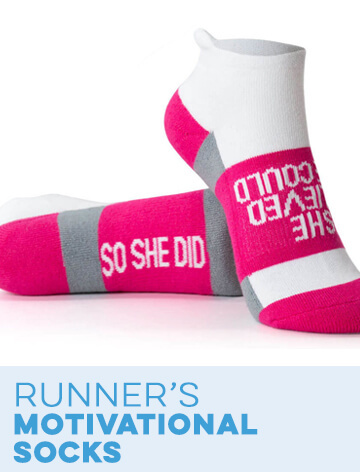 The headbands can be folded as thick or thin as desired, and are available in a selection of solid colors, prints, and can be printed with our fun or motivational running text - or a quote, name, or specific race for a one-of-a-kind running headband. One of the reason our RokBAND running headbands are so popular is they can easily be turned into a moisture-wicking beanie hat, pulled down over one’s face as a face mask or worn as a scarf if the winds or other elements (such as rain or snow) pick up mid-run, and can even be folded into a convenient scrunchie or wristband - among other uses that runners will think up on the fly. This popular choice of a runner’s headband is a great gift that’s designed to perform all year round and will be something a runner takes along on every run. Runners don’t stop running just because the weather is cool, or even cold. They layer up and use weather-appropriate gear that makes it easier to complete their runs during the autumn and winter. Our running arm sleeves are made from a moisture-wicking polyester and spandex blend and are designed to stay up no matter how long or hard a run may be. 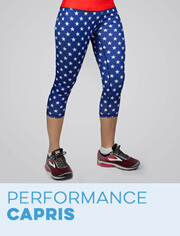 Available in a variety of colors and patterns - including personalizable designs - the arm sleeves are thin enough to fit under most running gear for an extra layer that will help keep runners dry and comfortable. Our running beanies and ponytail hats are made from the same moisture-wicking material ad can be worn alone or underneath another hat for an extra layer for a more comfortable run. Our performance headbands keep ears, which are particularly vulnerable to the cold while running, warm, while holding hair in place and wicking away moisture. Our runner’s winter gloves have fun designs that will keep hands warm on even the coldest days - and have specially designed fingertips that work with touchscreen phones and MP3 players so they’re easy to operate without removing the gloves and exposing hands and fingers to the cold. Perfect for runners who like to change their music mid-run, as well as for safety, should there be a need to make, or receive, a phone call while on a run. These are a favorite for runners, as hands stay warm - and they don’t have to avoid using the phone or a MP3 player. For runners who prefer to run in the early morning or evenings and nighttime when it’s dark out, our LED lights for runners are essential and help them stay safe, as they will be visible to car and other runners when they may not have otherwise been, even when dressed in bright colors. Much easier than carrying a flashlight, our LightGUIDE safety lights are wearable lights that can be worn as a belt, arm or wrist band, or a multi-use band that can be attached to a bike (because we didn’t forget cyclists and triathletes), worn on any part of the body, put on a running stroller, or even a dog leash to ensure no matter when and where one runs, it’s a safe run. 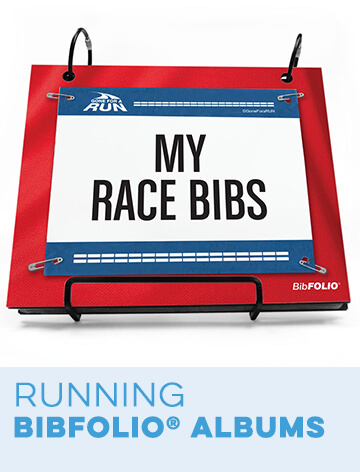 We have a version that clips on to the back of running shoes, as well as one that clips on to the brim of a hat, for a variety of styles and designs to meet any runner’s needs. Identification can, and does, save lives. Whether you run solo or with a partner, these important ID bands, which have custom engraved stainless steel or aluminum plates and are available in tech nylon or silicone bracelet versions as well as dog tags and shoelace plates, can speak for you if you can’t. List your name, address, emergency contact information, and any allergies or preexisting conditions on the engraved plate so emergency responders will have important information at hand, and will be able to contact a relative or friend to let them know something has happened and obtain more information. Nobody wants to deal with an emergency situation, but it’s nonetheless best to be prepared in case one should arise. 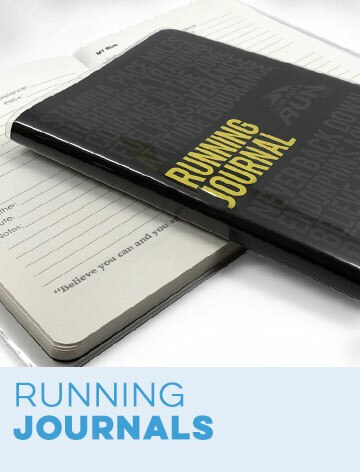 This is one of the best things a runner can buy for him or herself, and is also a running gift that shows how much you care about a runner’s well-being.